Poll: To Score or not to Score? WHAT? Axis loss? I thought I knew how to play this game! I’ve been dabbling with preview code for Black Turn, the final DLC for turn-based wargame Unity of Command. Sadly, I’ve been sworn to secrecy, so I can’t divulge any details just yet. I can’t tell you that it’s as <REDACTED> as it ever was. I can’t tell you that the AI is one mean <REDACTED>. If someone tells you that it’s <REDACTED>, that someone wasn’t me. What I can tell you is that the base game – Unity of Command – is the pinnacle of strategic excellence. 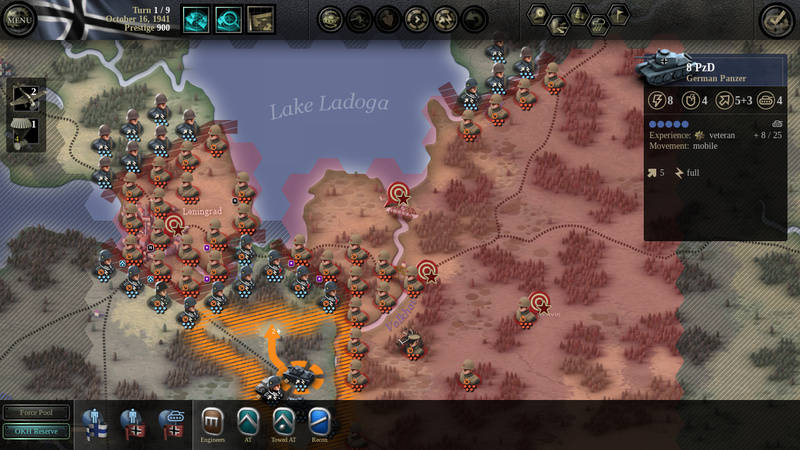 If you’ve ever enjoyed a Panzer General-style game, you owe it to yourself to check it out. Black Turn will be released on December 10th. Oh, it involves Operation Barbarossa and those infamous Russian winters. Winter is coming, see? Sigh.